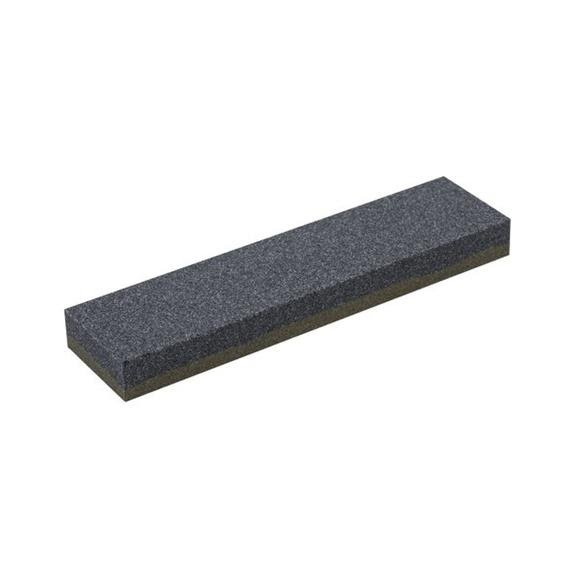 This Smith's Abrasives' stone is made from a synthetic abrasive material and is used in the same manner as a diamond or natural Arkansas bench stone. The extra-coarse side of the stone (100 grit) is used for aggressive removal of metal and will sharpen a dull or damaged blade very quickly. This Smith&apos;s Abrasives &apos; stone is made from a synthetic abrasive material and is used in the same manner as a diamond or natural Arkansas bench stone. The extra-coarse side of the stone (100 grit) is used for aggressive removal of metal and will sharpen a dull or damaged blade very quickly. The other side of the stone (240 grit) is for less agressive removal of metal and should be used for sharpening somewhat dull blades that just need a quick touch-up or for smoothing the cutting edge after sharpening on the coarse side. It is excellent for use on pocket knives, sport knives, tactical knives, or other cutting tools. This stone comes with a pouch and can fit into your pocket.